Updated 4 bdrm home with 2 bath on large corner lot. Some updates include, new paint, new flooring, new counter tops, roof is 2 years old, all trim painted as well as exterior of home. 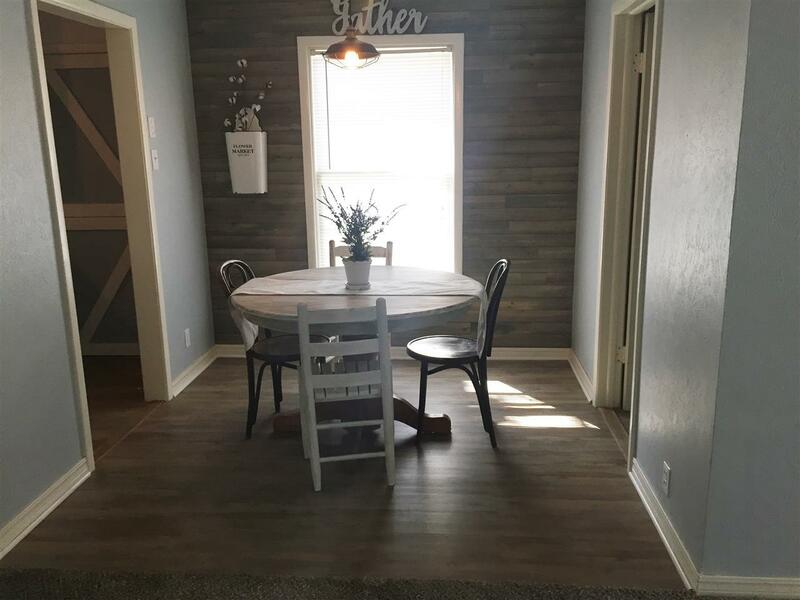 Dining room has shiplap and new paint and fixtures. Both bathrooms updated with the treated metal, light fixtures, flooring, vanities and new tub. VERY NICE.